Until recently the instruments of Vincenzo Panormo were notoriously difficult to categorize into cities and periods due to a scarcity of original labels and a two-century-old hodgepodge of biographical information. But thanks to the research of Andrew Fairfax, published in our 2016 Panormo exhibition catalog, we now have a much better understanding of the output of this exceptional maker. 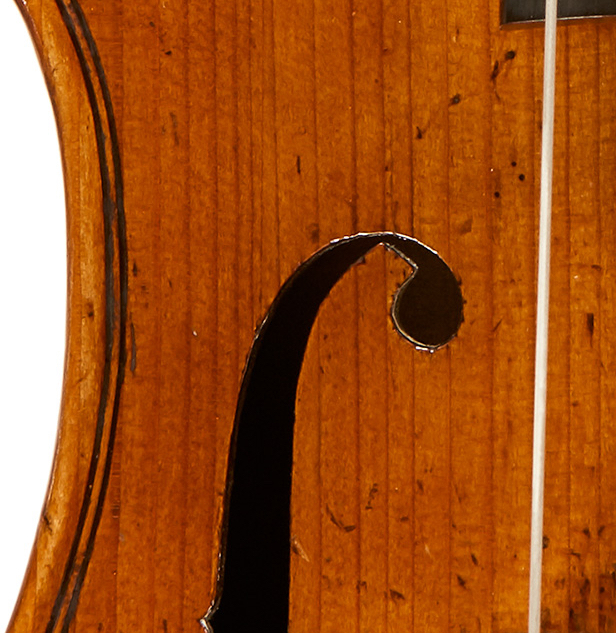 Built on an Amati model with shallow, open C-bouts and short corners, this viola is a near-twin to a viola bearing a handwritten label of 1774. The back is in two pieces of attractively flamed maple with 2.3 mm locating pins offset from the seam. The ribs are of the same stock as that of the back and taper from 37 to 40 mm. The top is in three pieces of wide- and variable-grained spruce with one joint at the bass soundhole and the other slightly off-center towards the treble bridge-foot. The arching of the top and back is low and slightly peaked at the center. 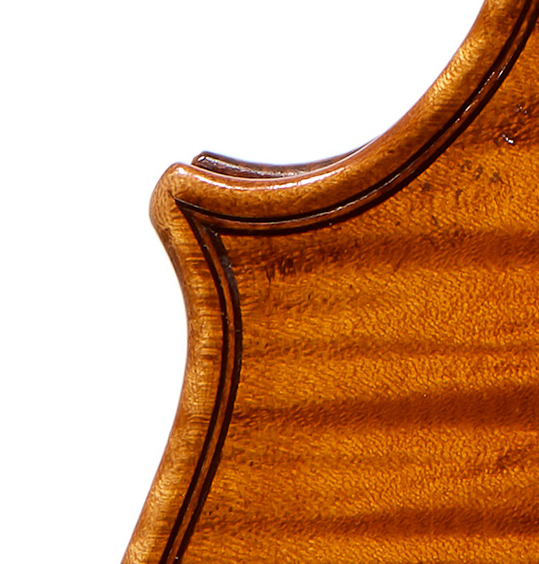 The black and white strands of the purfling are wide – nearly of cello width – and give the edges a strong visual definition. The corner mitres are short and abrupt and the C-bout purfling often leads the bee-sting into the corner, unlike typical classically inspired purfling. The soundholes are characteristically modeled after Amati with long, tapered wings, slender stems and wide, rounded notches. Around the upper holes we see leftover tracing points copied from the maker’s template. The finely carved head is of unfigured maple with a narrow chamfer, deep and rounded fluting and narrow pegbox walls. The second turn of the volute is deeply excavated and consequently the ‘comma’ finishes nearly a quarter-turn later than is typical for Panormo heads from this early period. 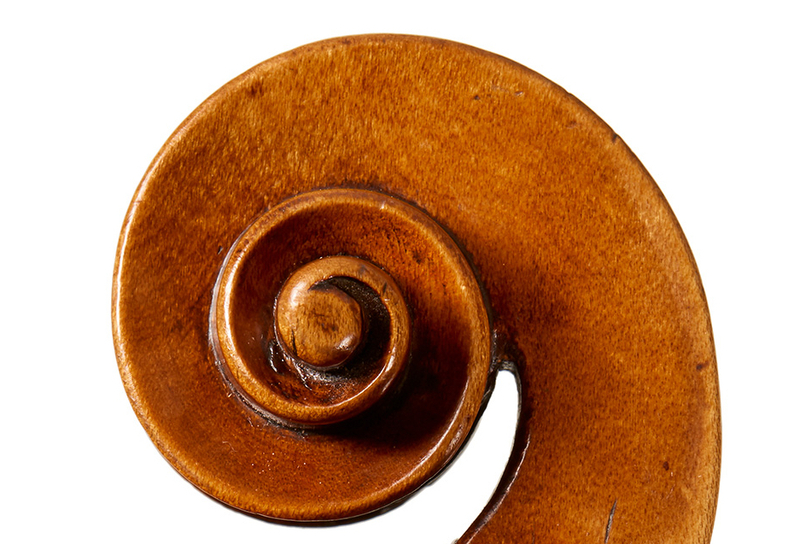 Later instruments from c. 1800 and many of those made by Vincenzo’s son Joseph also share this characteristic detail of the volute. 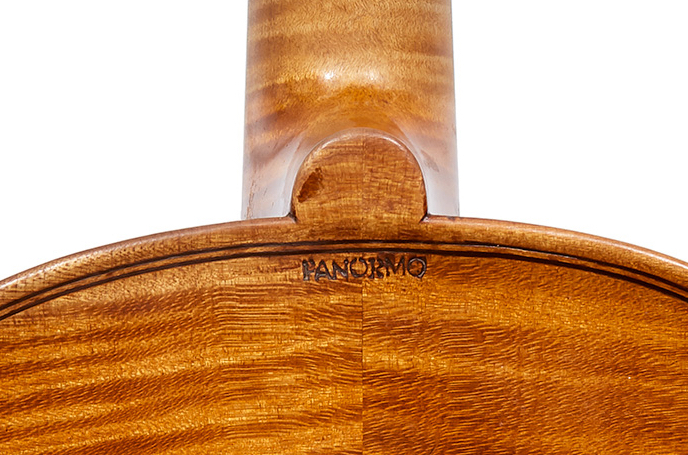 The viola bears a brand, ‘PANORMO’, below the button and to the lower ribs. Similar brands are found on woodwind instruments made in Naples by the Panormo family a decade or so earlier. We know several other instruments bearing this brand – all of them violas, interestingly – including a instrument sold by us to an exceptional violist in a west-coast orchestra. This viola was sold to Adolf Busch on March 26, 1934 by the English collector and occasional wheeler-dealer Robert Bower for £103. According to the W.E. Hill & Sons business records, Bower bought this viola from Hills just four days earlier for £93, turning a tidy, but not unacceptable profit of ten percent. 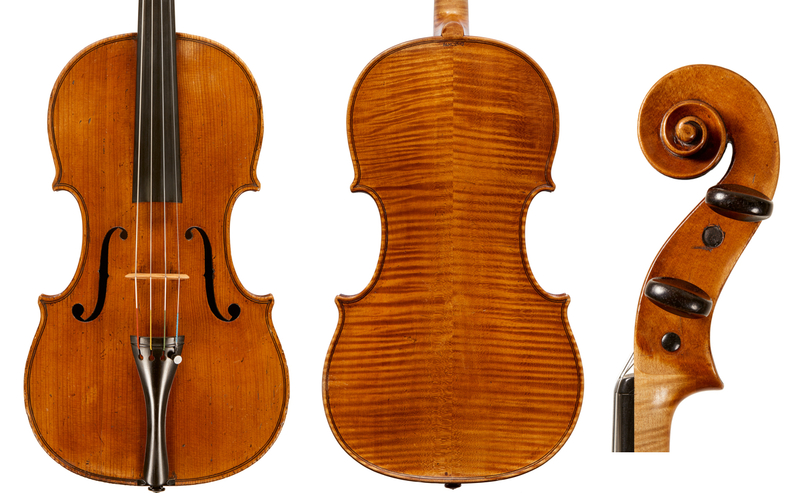 This fine viola is in exceptional condition with no cracks or patches and a nearly undisturbed varnish. It is currently offered by Private Sale. With inquiries please contact ctome@tarisio.com. Read about Adolf Busch’s relationship with the viola by Tully Potter.